Sometimes everything goes right under the stars. Not all the time, though. Not hardly. Not if you are an astrophotographer, or at least dabble in that black art as I’ve been doing for years. Even in the supposedly simple film days, there were just so many things that could go wrong. Today, when you have to deal with computers and goto mounts and cooled cameras instead of just a scope with a simple AC powered clock drive and a 35mm camera, there is tremendously more to go wrong. 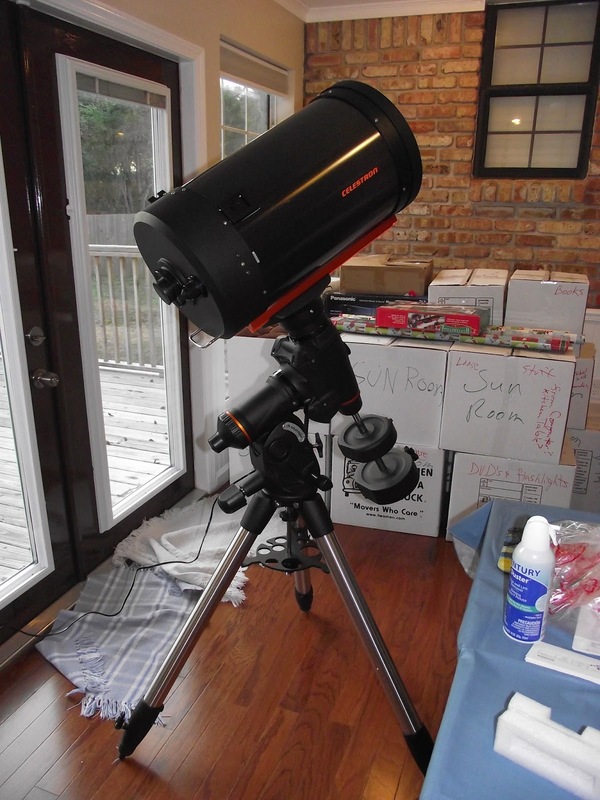 The whole mess got started because of my need to check out my C11, Big Bertha, and her CGEM mount in advance of the fall star party season. I thought the C11 herself was good to go, since I’d done some fine tuning of her the previous week. Fine tuning because I knew the scope’s focuser needed attention. My last time out with Bertha months back, it had been noticeably harder to turn the focus knob than it used to be. That can happen with a Celestron SCT when the screws holding the “collar” in place around the focuser shaft loosen and the collar becomes canted with respect to the shaft. The solution is to adjust all the screws till the collar is parallel to the shaft and focus knob. It only took a few minutes to sort this out and return the focus action to its normal smooth feel. I also had a quick look at the corrector’s cleanliness. It was not pristine but not in need of cleaning yet,. The CGEM? That was an entirely different kettle of fish. I didn’t know it needed attention, but I also didn’t know it didn’t. I didn’t know much about it at all, frankly. In January of this year, I had finally had enough of the NexStar 11 GPS’s enormous fork, and had purchased a Celestron CGEM to replace it. I was able to test the mount a few times in the backyard, but only briefly thanks to terrible weather. I had hopes, though; I planned to resurrect Bertha for this year’s DSRSG Spring Scrimmage, to give her a good workout over three April nights in the wilds of northern Louisiana. Or so I hoped. Alas, those hopes came to naught. First obstacle was that, for the second time in the last 30 years, I was summoned for jury duty. While I was released before I was due to depart for the Feliciana Retreat Center, that coincided with the arrival of wave after wave of thunderstorms. Since I was paid up for DSRSG, and, like with any star party, there could be no refunds, I drove to Louisiana anyway, but I packed the C8 and VX instead of the CGEM. Why wrestle with a big SCT when the weatherman said there was absolutely no chance whatsoever of me seeing anything? Weather.com and Scopenights were correct. I had an OK time at Feliciana, but the Edge 800 never came out of the 4Runner. In fact, the weather went from bad to worse in the short time I was onsite. I arrived on Thursday afternoon to rain, and left Friday afternoon to the accompaniment of booming thunder and flashing lightning. And that was it for me even thinking about using the C11 for nearly six months. Both because of this summer’s even more horrible weather and because of non-weather-related factors. What little observing got done over those months was done exclusively with my simple Dobbie, Zelda. I love Zelda. It’s been wonderful revisiting the simpler side of amateur astronomy. But the coming of fall finds me feeling differently—at least about observing. If I am going to some big star parties at dark sites, and I plan to do three over the next several months, I want to take full advantage of them. I want to do a big project and I want to see a bunch of objects. The way I do that is with the C11 and the Mallincam. I’ve never had better times in amateur astronomy than when I was at the Chiefland Astronomy Village under a black sky with the C11 and Xtreme pulling in the most ancient of ancient photons in service of the Herschel Project. Rod ain’t no dummy—not usually—however, and I wasn’t fool enough to pack up a mostly unused mount and drive hundreds of miles hoping for the best. That’s how you incur the wrath of the astronomy gods. The CGEM needed to be tested as thoroughly as I could test it. Not just visually for a few minutes, but with a camera on the scope over the course of a reasonably long run. As I wrote last week, I decided it wouldn’t be an overly onerous task to tear down the Edge 800 and VX, which were out in the backyard, and replace them with the C11/CGEM. That turned out to be not exactly true. Thanks to the still and sultry late September weather, by the time I finished getting the big mount on the tripod and the big OTA on the mount I was dripping with sweat. Stealing an occasional glance at the partly cloudy sky, I hoped I hadn’t wasted my time. For once, wunderground.com said I hadn’t. A cold front was passing and would bring clear skies, if not on this night, then for several nights following. Since it is not a problem to leave the C11 setup out back for days on end, I figured I couldn’t lose. Ha! Once the OTA was on the mount, I still had to rig up the DewBuster and the corrector heater. Mount the Rigel Quick Finder. Hook up the batteries. Plug in the hand control. Get the camera on the rear cell (via a make-do prime focus adapter as I mentioned last time; I couldn’t find my normal one and used an old OAG instead). Finally, since the camera I would be using, my “backup” body, an old Canon 400D, needed a Shoestring shutter interface box to do longer exposures, I had to hunt that up and hook it to the PC. Standing there ogling Bertha after I finished, I had to admit she looked mighty fine sitting in the fading late summer light. Of course, looks mean nothing when it comes to scopes. We’d see how this new incarnation of my old friend performed. Once dark, which is finally beginning to arrive a little earlier, came, I got to work, which was smooth sailing at first. I executed a 2+4 goto alignment, fired up the PC and started TheSky. That’s when my problems began. TheSky 6 Professional resolutely refused to talk to the CGEM, “There doesn’t appear to be a Celestron telescope connected.” I was flabbergasted. TheSky has simply never failed me. Never. I tried everything. Moved the serial-USB adapter to another USB port on the hub. Restarted TheSky multiple times. Rebooted the PC multiple times. Checked Device Manager in the PC’s Control Panel, which claimed I had a perfectly good Com Port 3. Nothing worked. Astronomical twilight had now well and truly arrived. I was wasting time, so I reluctantly decided I’d forget TheSky for now; I’d figure it out by the light of day. 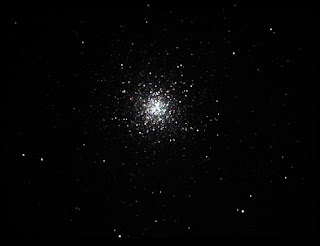 I sent the scope to M13 via the hand control, fired up Nebulosity 3, and connected to the Canon. Or tried to. Nebulosity said there was no Canon camera that it could find. What the heck was going on? Puzzled, I idly looked over at the USB hub. Something was different there. Its red LED was not illuminated. Could that be it? Could the freaking USB hub have gone bad? That didn’t seem likely. I’ve never heard of one failing…but there are active electronics in one, and it was years old so… I unplugged it from the USB port and plugged it into another one. Still no red light. I ran inside, grabbed another hub, and connected it to a USB port. Its LED illuminated immediately. Plugged the USB-serial cable into it and tried TheSky. Still no dice. Went into control panel and reset the driver for the USB-serial adapter and suddenly everything was fine. Whew! 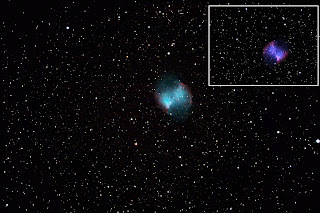 Plugged up the Canon to the new hub and Nebulosity detected it immediately. My problems were over. That’s what I thought, anyway. OK…I put Nebulosity 3 in frame and focus mode and got the cluster looking as sharp as I could by eye, twitching the C11’s now blessedly smooth focus knob. I then picked out a non-saturated field star, clicked on it, and switched to fine focus mode, which zooms in on the star and allows you to dial in focus precisely. I began focusing and was almost there when the star drifted out of the small box it was situated in. What the—? That was new. That had never happened before. I went back to frame and focus mode, clicked on the star again, Nebulosity zoomed in on it again, and away it drifted once again before I could finish focusing. What now? Was the CGEM down for the count? I checked everything. RA and declination locks were firmly locked. Mount was definitely in normal sidereal tracking mode. Everything seemed OK. So why wasn’t it tracking? I didn’t know what else to do, so I reset the hand controller to factory values, reentered my site/date/time data and did a new goto alignment. 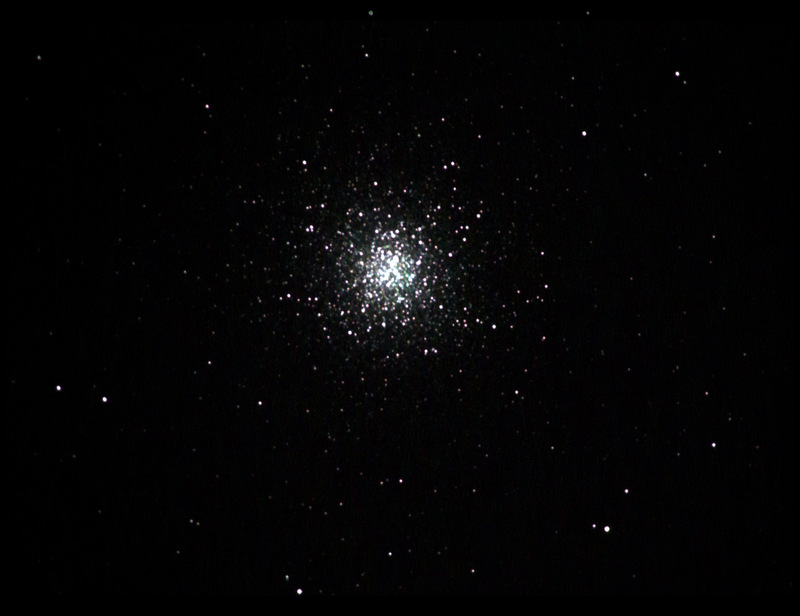 Got M13 back in the field using TheSky—at least that was working now. 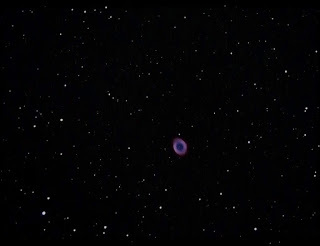 Started Nebulosity, went back to fine focus mode, and watched that darned star slowly drift off into never-never land. I was well and truly stumped, but luckily, maybe, this wasn’t exactly the first time I've been at a loss under the stars. At least I had the sense to STOP now, not do anything else, and just THINK. What causes stars to drift other than problems with the mount? Well, poor polar alignment. But I had done an Allstar polar alignment with the hand control, just like I always do and… Wait one freaking minute. What AllStar polar alignment? I hadn’t done a polar alignment following the goto alignment and that was why the star kept drifting no matter what I did. All I’d done was sight Polaris through the CGEM’s hollow polar bore. 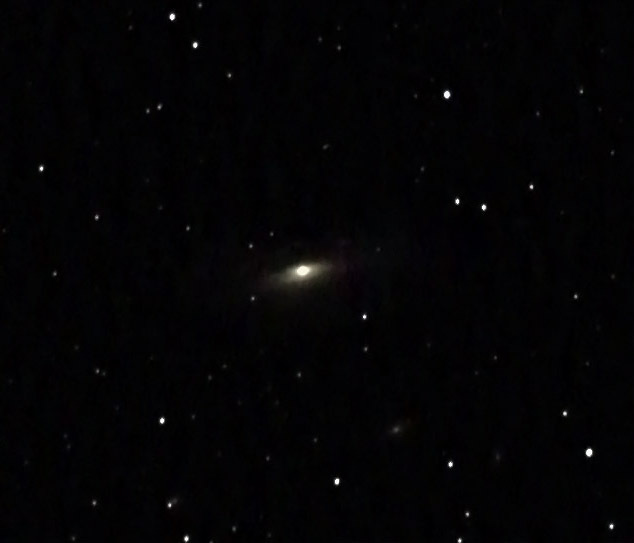 Hardly good enough when you are imaging at nearly 1800mm. In my defense, I’d had the VX out in the backyard for nearly a week. After the first night, when I performed the goto and polar alignments, all I’d had to do was wake the mount up from its hibernate mode each evening and go to work. I’d gotten good and used to that and that was why I’d forgotten to do the AllStar, I supposed. Abashed, I did an AllStar alignment on Antares, went back to the fine focus mode on Nebulosity and finally got going nearly two hours after I began. Again, so many things can go wrong when you're doing astrophotography—computers, computer programs, cables, hand controls, batteries, cameras—that it’s a wonder something doesn’t go wrong every blasted time. You just have to accept the fact that you are going to have occasional disastrous nights no matter how experienced you are. Yeah, I had egg on my face, but I hoped that meant that I was due some good nights over the coming months. When I finally sent Murphy and his pal Finagle packing, I began grabbing images of M13. This was special, since this was—get this—the first time I’d taken prime focus (non-video) deep sky images with the C11 I had owned for over a dozen years. In her former incarnation, it just wasn’t practical. The alt-az fork was fine for video exposures but not for DSLRing or CCDing. Yes, I had a good wedge for the scope, but mounting Bertha on it was a two-person job, easy, so I rarely did that. So, what turned out to be the deal with the C11 and CGEM once the images started hitting my monitor? Nearly 1800mm (with the f/6.3 reducer corrector on Bertha’s rear port) is a lot of focal length to deal with in my book, and the CGEM is hardly a top of the line mount. I like it just fine, but there’s no use pretending it’s a Bisque or an A-P. Nevertheless, I was pleased with what I was seeing on the laptop, especially considering the fact that I had to go unguided. I don’t have a guide scope mount for Bertha, and the guide camera I have, an old Orion StarShoot, is not sensitive enough to use with an off-axis guider. That didn’t mean I couldn’t take pictures, though. I found I could go 30-seconds without guiding and keep a respectable number of frames. Backing off to 15 – 20 seconds meant almost all were perfect, and, frankly, all could have been used in a stack if I weren’t being picky. 15 – 20 seconds is perfectly fine for me at the moment given my interest in short-sub imaging, but I might think about a better guide cam or at least a guide scope mount for Bertha eventually. Frankly, I was rather impressed by the images the C11 delivered as compared to a C8. More aperture will not give you brighter nebulae or galaxies. Extended objects just get bigger in larger aperture scopes (assuming the focal ratio stays the same) not brighter. Stars are another matter. 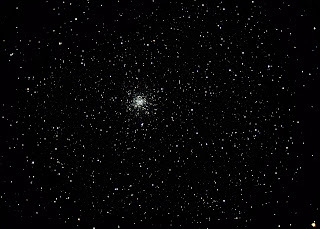 The C11 pulls in more, and combining that with the larger image scale of its longer focal length made M13 look nice indeed. Star colors were good and the core looked real sweet. The next morning, I found it easier, I thought, to process the cluster without burning out the core than it is with a C8's images. Since star clusters, open and globular, are prime targets for my backyard imaging, I think the C11 will be preferable for that. 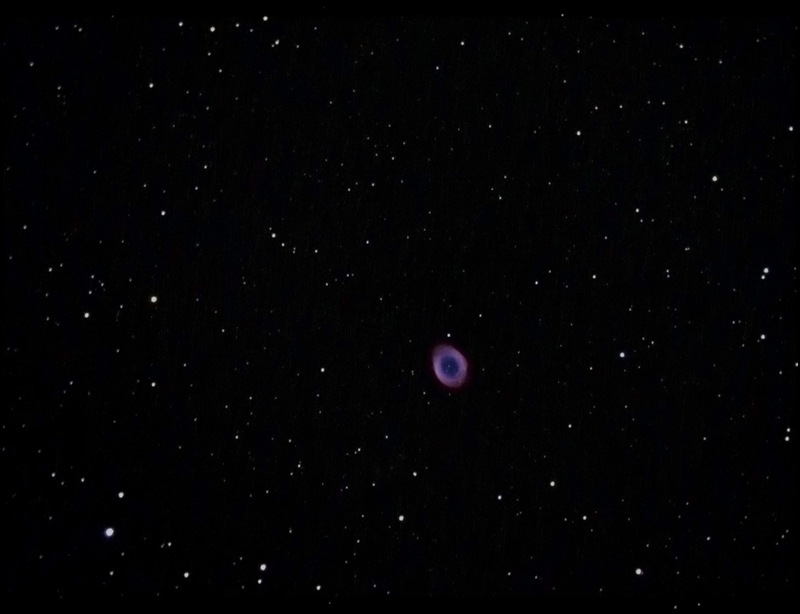 Might make it easier to tease some detail out of planetary nebulae, too. Of course, there is the fly in that ointment: I have to convince myself to set the big thing up. I didn’t stop with M13. I’d sweated too much blood on this night to leave it at that despite the now rather late (for me) hour. 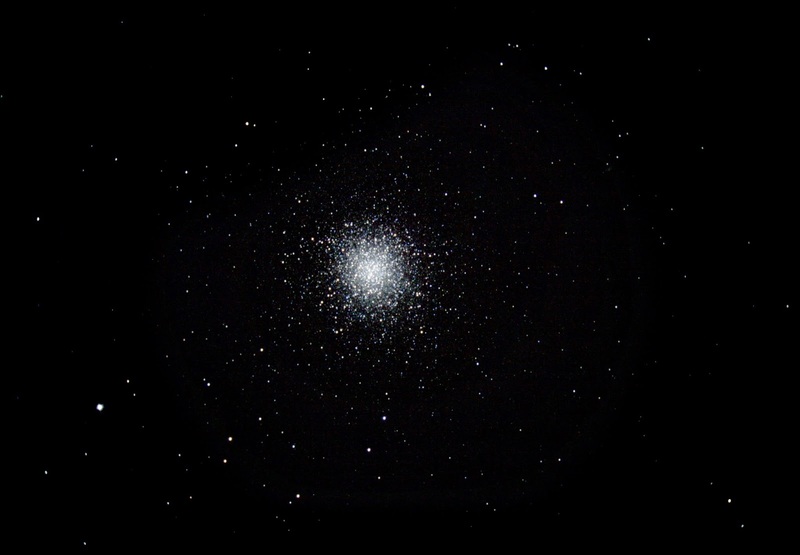 From M13, I went to M92, M15, M56, NGC 6888, and a few others. All were easy enough to capture, and all were easy enough to process. The old 400D acquitted itself well. While I would have been tempted to go to an ISO higher than the camera’s maximum of 1600 if that had been available, in truth it would have been a mistake in the light pollution and with a Moon in the sky. As it was, processing wasn’t a pain, but I still had to deal with some gradients. How about the mount? I have nothing whatsoever to complain about. While it is an “inexpensive” GEM, it did bring home the bacon. I will be interested to see how easy it is to guide. I don’t expect perfection, of course. The C11 is a heavy enough and even reduced has enough focal length that it really cries out for a mount two or three steps above a CGEM. A Losmandy Titan or a Bisque MyT or an A-P Mach 1. The chance of me acquiring any of those fine machines seems slim, however, and why should I worry about it if the CGEM can do what I want it to do? For me that is casual imaging of the sort I did on this evening and deep cruising with the Mallincams, and it’s already obvious the CGEM is more than capable of both things. There is one area where the CGEM bows to no mount: goto accuracy. 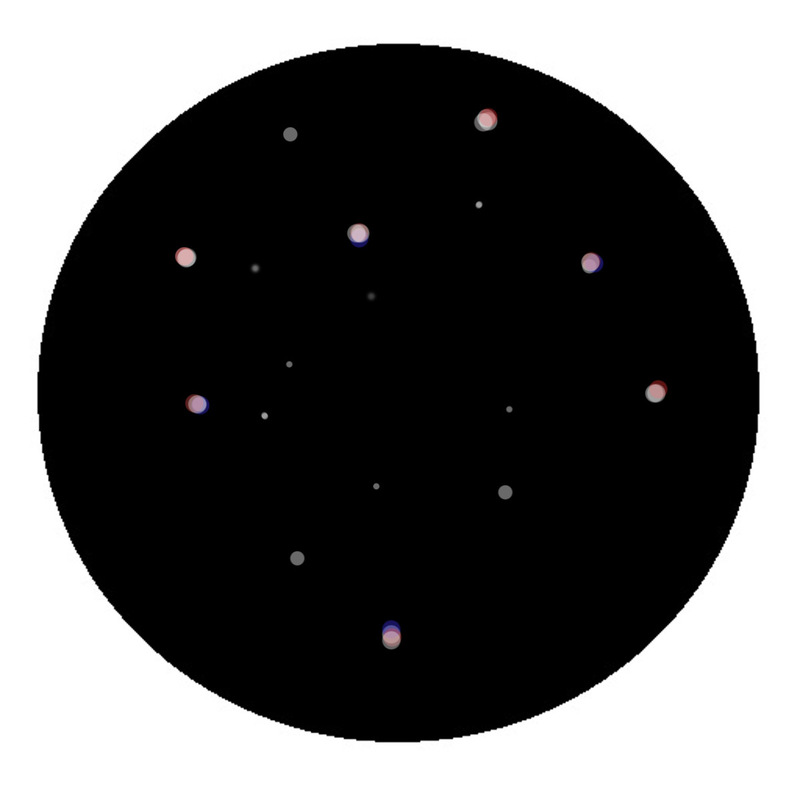 Do a good 2+4 alignment, and the CGEM will put anything from one side of the sky to the other in an eyepiece at 150x – 200x. You might get your high-priced-spread of a GEM mount to do better, but not without doing a 100 point T-point run, and you can do T-point with the CGEM too. Frankly, I am satisfied; as I hoped, the CGEM is an improvement in both portability and performance over the fork (except for goto accuracy; the fork was outstanding there, too). What’s next? When the Moon is New again, I will be at a star party, the Peach State Star Gaze, with Bertha. I may actually try to get out sooner than that for some more short-subbing once Luna begins to wane, though. That is assuming the weather gods and my moods allow, which is always a tossup, natch. Stay tuned. Since I had pretty good results with the little ZWO ASI120MC on the deep sky the other night, I decided to give the minimalist camera a second outing, applying what I’d learned. If you weren’t here last time, what I’ve been doing is experimenting with a current craze in astro-imaging, taking many short sub(frames) with a CCD camera or a DSLR and stacking them into a final image. Keeping your exposures to 30-seconds or considerably less means you will likely not have to guide and will still obtain a respectable image when you are done. The VX and the Edge 800, Ms. Emma Peel were still set up in the backyard, so all I had to do with remove the Desert Storm Cover, wake the mount from its hibernation, and soldier on. If you didn’t read last week’s entry, the camera, the ASO120MC, is a one-shot color job with a small 1/3rd inch CMOS imaging chip. I had high hopes for the second round since I’d had such surprisingly good luck the first time. 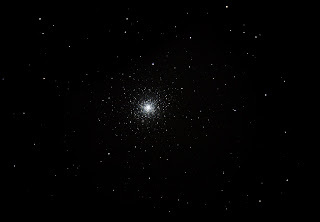 After checking focus on M13, I decided I might as well do another sequence of everybody’s favorite (everybody north of the equator, anyhow) globular star cluster. As before, I used FireCapture as my image acquisition/camera control software, and also as before I saved my results (or, more properly had FireCapture automatically save the frames) as .bmps that were converted to color on the fly before they hit my screen. 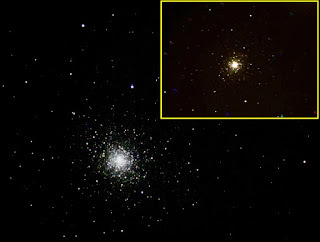 The globular was there, and stacking one-hundred or more 5-second frames would probably have yielded a recognizable final product, but I thought the image was just too thin and too close to the background’s brightness level in my light polluted backyard. Yes, stacking many frames reduces noise and allows you to more easily process the resulting image, boosting its levels, etc., than you could with just a single frame, but stacking images does not increase detail. The detail must be there in a single exposure. If it’s not, stacking will not create it. So, I compromised. 15-seconds seemed a good exposure length to me. Short enough to keep the stars round without auto-guiding, but long enough to deliver detail aplenty in brighter objects. I did go up to 25-seconds for my dimmest targets, Stephan’s Quintet and the Crescent Nebula, NGC 6888, however, since in a 15-second exposure both were just barely, barely visible. I do believe 5-seconds could work from a dark site. But my backyard? Just no. My Zenith Limiting Magnitude is usually around 5.0, and it’s a struggle to pull some objects out of the background glow. Also, since, most equatorially aligned scopes can do 15 – 20-seconds without guiding, I don’t see much point to 5-seconds unless you are trying to image with an alt-az mount. The ground truth is that longer subs are just better all things being equal. How many of those 15-second frames did I accumulate for each object? 50 was my average number. Didn’t take long to do a sequence of that length, and it also gave me enough of a stack to keep the background of my finished images looking reasonably smooth. Remember, this is an un-cooled camera, and my nighttime temperatures are still in the mid-70s. I kept going a good long time, doing more objects than I thought I would. It was quite pleasant outside. Yes, it was still in the mid-70s before midnight, but it was also relatively dry and I was quite comfortable on the deck at the laptop. I did pop inside a couple of times to look at the Arrow episode the CW was showing, but unlike on my previous run, the bugs didn’t chase me indoors. When I was done, I’d re-shot M13 and M92 and also done M2, M27, NGC 6888, the Blinking Planetary, the Cat’s Eye Planetary, Delphinus’ little NGC 6934, and Stephan’s Quintet. A good variety of objects to help me assess what the little camera could really do. When I was finished, I shut down the scope and covered her with the Desert Storm again, since I fancied I might, amazingly, get a third night of imaging or even a fourth judging by the weather forecasts I was hearing. That kind of streak has been awfully rare over the last year. 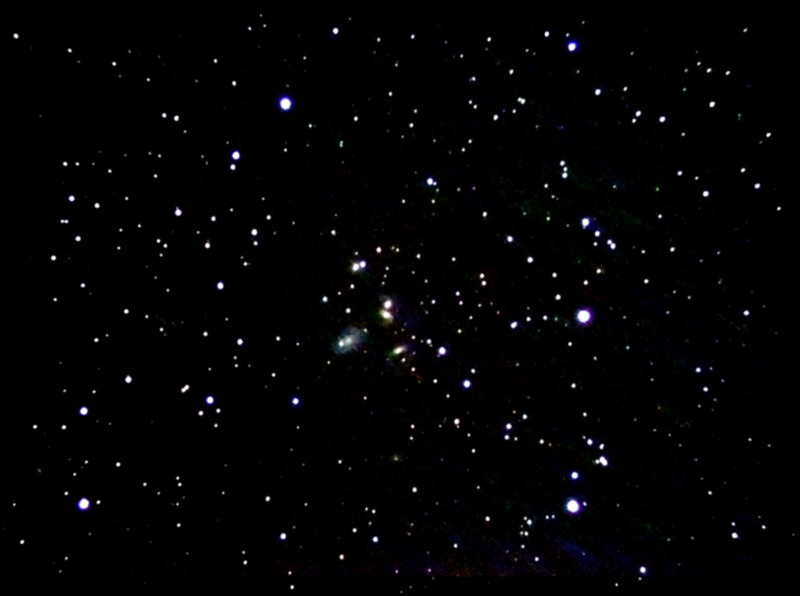 Next morning, I fired up Nebulosity 3 and stacked and processed my frames. Not only does Nebulosity make processing images easy, it includes what I believe to be the best and easiest to use deep sky stacking routine in the business. After my subframes were stacked, I gave each image the Digital Development treatment in Neb, tweaked levels a little, sometimes did a little sharpening, and, finally, exported the fits images to Photoshop and did a small amount of tweaking. It was all relatively easy. With the exception of the Crescent Nebula, which was just too thin, I had plenty of signal in all the images, and was able to deal with background noise easily enough in most of the shots. I was quite pleased. No, NGC 6888 and Stephan’s Quintet were most assuredly nothing to write home about, but they were there, and, as I reminded myself, this was from a light polluted site, my backyard, which is only a couple of miles from Airport Boulevard with its endless strip malls and car lots. It was thrilling to get anything that dim with a cheap camera on an unguided telescope. I’ve been praising the ZWO, and that praise is well deserved. I don’t see how you could do better for the miniscule price. What should also receive praise, however, is the VX mount. I didn’t throw out a single frame—well, one or two satellite trail plagued ones. Even at 30-seconds the mount’s behavior was exemplary. Yes, I had the C8 reduced to f/3.3, but even then, the “magnification factor” inherent in such a small chip—M13 is almost too big for the frame—means that tracking has to be darned good. It was. So, the ZWO had acquitted itself well as a deep sky camera fully capable of fulfilling the wants and needs of those of us who don’t aspire to being the next Bob Gendler. Those who, like your correspondent, are happy with simple deep sky postcards, mementoes of our cosmic journeys to show off to our wives and girlfriends and mates. If that is all you want, this camera and a 600mm or shorter focal length telescope is all you need. Which got me to thinking…how could Joe or Jane Cashstrapped-amateur kick it up a notch and maybe spend even less? One way might be with a DSLR, a really cheap used DSLR. I still have my old (unmodded) Rebel XTi, which I use as a backup (terrestrial) camera body. It’s been far outpaced even by the Canon Rebels in the last five years, but I thought that it might be an improvement over the ZWO in some ways. One big way is its much larger imaging chip, a 10-megapixel APS-C senor that produces large 3888x2592 images as compared to the ZWO’s 1280x960 pictures. More importantly perhaps, the Canon’s individual pixels are larger, 5.7µm in size compared to the ASI120’s 3.75µm. Usually, larger pixels result in more sensitivity and less noise. Before I could try the old Rebel on Emma, I had to round up a couple of items. First was the long exposure shutter module, the DSUSB from Shoestring Astronomy. Unlike more recent Canons, you cannot enable long exposure with the USB connection to the camera. You have to have a DSUSB or a remote shutter release connected to the camera. I also needed my good, old SCT prime focus adapter. Which wasn’t in the big tackle box I use to store my small astro-gadgets. In fact it wasn’t anywhere. I probably had not used it since last January when I was shooting the comet, since we haven’t had much prime-focus-DSLR-worthy weather since. I am pretty maniacal about putting stuff back in its place, so it not being in the tackle box was a bad sign. Indeed, after much ill-tempered searching I had to admit it was just not anywhere. Well, maybe it was somewhere, buried in the tall grass at the club dark site. What to do? I’ve got a couple of old Newtonian/refractor prime focus adapters, but they would put the camera way too far back from the Edge f/7 reducer. What would I do? What would I do? Still looking for the adapter, I opened a cabinet in the shop and spied my ancient Meade off-axis-guider. Heck, that would work. I’d plug up the eyepiece port and just use it as a prime focus adapter. Threaded it onto Emma’s reducer, mounted the camera, and I was ready to roll. Since I’d be shooting with the Canon, the image acquisition program would as usual be Craig Stark’s fantastic Nebulosity 3. All I had to do was select “Canon,” enable the DSUSB option, set an exposure and have at it. I thought that to be fair in comparing Canon and ZWO I probably should have given the Canon shots a little more exposure than 15-seconds, since the Xti’s ISO tops out at 1600—which I thought might make it less sensitive than the ZWO. A look at the first M13 to appear on my screen said otherwise. Not that the ZWO isn’t a sensitive little camera; it’s just that the Canon is more than sensitive enough. More importantly, perhaps, the backgrounds in the images were obviously smoother and more noise free than those of the ZWO. No, the Canon isn’t cooled either, but its makers had gone to great lengths to keep noise down even in long exposures and it shows. It also helped that the camera subtracted a new dark frame from each image automatically. If M27 looked a hair dimmer on screen than with the ZWO, and I wasn’t sure it did, I could tell it would be easier to pull out of the background glow during processing. One other good thing inherent in the Canon? A bigger chip meant more field. While every object I’d requested had been in the frame of the ZWO thanks to the VX mount’s outstanding goto, some were on the edge. Everything was well within the bounds of the frame of the Canon and most of the objects didn’t even need centering. This is the time to give a shout-out to my mount control program, my planetarium program, the ever popular TheSky. In my case, that's TheSky6 Professional. Yeah, I know TheSkyX is even better, but I am cheap and I am used to 6 and it does everything I need. One odd thing? I have it hooked to the VX using an ASCOM driver. That being the case, there is no way it should be any more accurate in gotos than any other ASCOM capable astro-soft. BUT… For some reason, with my setup gotos using TheSky are better. Go figure. Anyhow, I love the program, and the combination of it and Knightware’s Deep Sky Planner is a powerful one. Since for comparison purposes I would be shooting the same objects on this night that I’d shot on the previous one, I didn’t spend a lot of time outside. 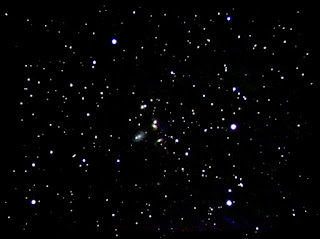 Once it was clear the scope, mount, camera, and computer intended to behave, I’d start a sequence of 50 15-second frames, and immediately retire to the den for the 25-minutes (including time for the darks) it would take to complete that. There were no surprises. 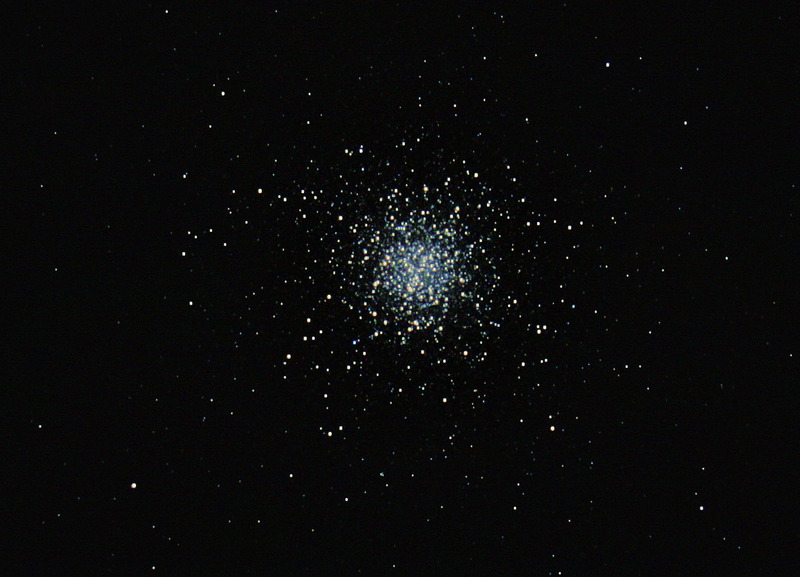 I did M13, M92, M27, M2, and a couple of others before calling it a night. What were my findings the next morning when I processed the images using the same software and procedures I’d used on those I'd got with the ZWO? The ZWO images were easy to process, but those from the Canon were easier. I could play around with levels and sharpening without having to be as careful not to pull out more background noise. Otherwise? On the globulars it was a tossup. The Canon shots looked good, but in the ZWO images, the globs nearly filled the field of the camera and just naturally looked very impressive. Yes, I could shoot at a higher focal ratio, f/10, with the C8 and make the globs bigger, but even in 15-seconds you can run into problems with trailed stars at f/10 if you don’t want to do a drift alignment, and I do not. 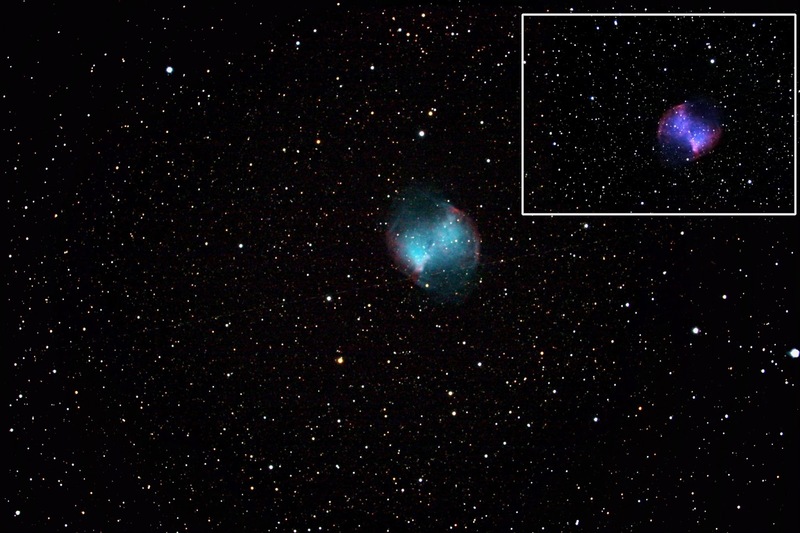 The Dumbbell Nebula was another story. While I didn’t have quite enough subs to make it look really smooth given my suburban skies, there was no doubt the nebula showed considerably more detail than in the ZWO shots. It’s a large object for that small chip, and this time the object being bigger hurt more than it helped. The big takeaway for me, however? This observing run showed that a DSLR in the C8 at f/7 can do a good job on brighter objects, even in suburbia, and that guiding is not required. Neither is a drift alignment. My stars were round at 15-seconds, and probably would have been fine at 30, too. At 15-seconds I had to throw out exactly zero frames. My success with the Canon got me to wondering how far I could push this. What would the C11 do? Its longer focal length would give larger pictures. But how about guiding? Would that heavy OTA require it at 15-seconds with my CGEM? I thought it would be fun to find out. In the months I’d had the CGEM I had yet to take on single prime focus shot, guided or unguided. You hear a lot about the mount’s capabilities or lack of them in that regard, so maybe it was time I found out. There was more than just idle curiosity to discovering how the C11/CGEM would do for deep sky imaging. 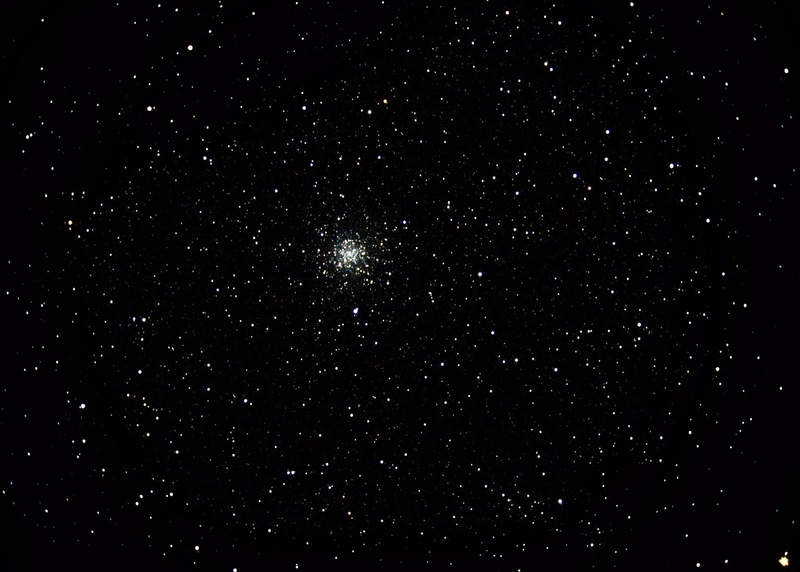 What is the biggest problem facing the backyard imager? Those darned light pollution gradients. Use an SCT with a focal reducer and it gets worse. The sky background isn’t just bright or uneven; you have a “porthole” effect. There’s light falloff toward the edge of the frame due to the reducing lens, the telecompressor. You expend most of your effort in processing trying to suppress that while bringing out as much detail in the object as possible. What can help? Keeping exposures short helps with the gradients, but that makes background noise worse—TANSTAFFL as Bob Heinlein used to say. “There ain’t no such thing as a free lunch.” What else? Flats can also work if you’re not too lazy to take them. If you are, an excellent Photoshop plugin, Gradient Xterminator, can make your shots a lot more even. 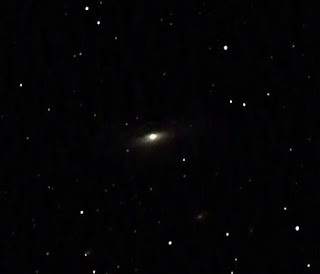 So can a little more focal length, which tends to spread out background skyglow. Course, there is the TANSTAFFL factor there, too, since your image scale increases with increasing focal length, which, as above, isn’t always a good thing. Still, I thought some more millimeters via the C11 might help. I had planned to disassemble the C8 after this night’s run anyway, and convinced myself it wouldn’t be much more work to not just pack up the Edge and the VX, but to replace them with the C11, Big Bertha, and her CGEM. Ha! A C11 ain’t a C14, but don’t kid yourself; it is a handful at close to 35-pounds. And so, of course, is the CGEM head (the normal tripod is almost identical to the VX tripod and is no heavier). By the time I was finished, I was soaked to the skin with sweat and wondering if the effort had been worth it. I planned to reduce Bertha’s focal length via the good, old Jim Riffle designed f/6.3 reducer/corrector, which would take her from about 2800mm to 1764mm which is a darned sight better than nearly 3000, but still… My experience over the years has been that as soon as you pass 1500mm, getting good tracking becomes harder. And as you approach 2000mm it becomes absolutely tough. Even at short exposures in the 15 – 20 second range. Would the CGEM, which is most assuredly in the “bargain mount” category, be up to the task? Stop back by next week to find out. Well, are they? Sure they are if you enjoy using them, but are they as good as they could be? Are you getting your money’s worth? What got me started thinking about testing eyepiece quality was that I recently completed a magazine review of a new series of oculars and had spent several weeks putting them through their paces. Frankly, despite what the eyepiece fanboys on the Internet forums would have you believe, it’s easy to test eyepieces, and I thought you might like to learn how to do so if you don’t already know. Eyepieces or “oculars” are fairly simple things in the grand scheme. They are essentially sophisticated magnifying glasses. Your telescope produces an image without an eyepiece, but it is really too small to show much detail to the eye. You need a magnifying glass to bring out details, and that is the role of the eyepiece. Let’s get ocular vocabulary definitions out of the way before we begin. 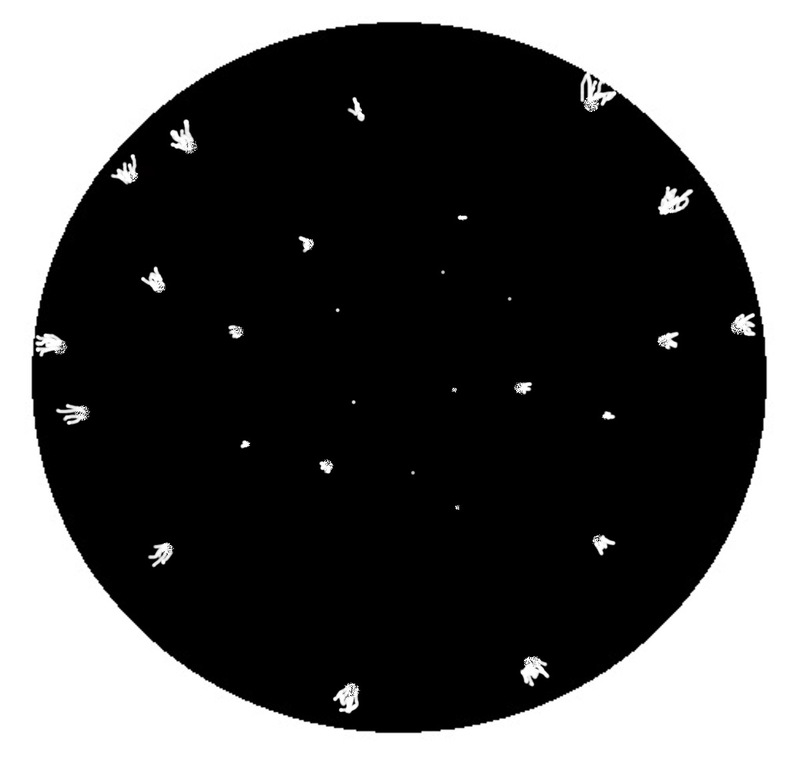 Apparent field of view (AFOV) is the size of the eyepiece field circle measured in angular degrees. It is not how much area of the sky the eyepiece takes in. That is true field of view (TFOV), which is also expressed in degrees. Apparent field is analogous to the size of your TV screen, while true field is the size of the scene shown on the TV. A 12-inch TV can display a shot of the whole globe of the Earth, but the view is much more immersive on the 60-inch. Apparent field also determines how much true field you get; more AFOV equals more TFOV in eyepieces of the same focal length. The lens you look into is the Eye lens, the out-facing lens of the eyepiece. The field lens is the lens element closest to the telescope. In modern wide-field eyepiece designs there may be as many as six (or more) internal lenses between eye lens and field lens. Eye relief is an important ocular characteristic. That is the measure, always in millimeters these days, of how far you can hold your eye from the eye lens of an eyepiece and still see the whole field of view circle. If you must wear glasses while observing (because you suffer from astigmatism), you need as much eye relief as you can get. Focal length of an eyepiece is the number that determines its magnification. Magnification is equal to the focal length of the telescope divided by the focal length of the eyepiece. So, a shorter focal length ocular delivers more power. A 10mm focal length eyepiece in a 2000mm focal telescope yields a power of 200x. One last term you will hear occasionally is “Field stop,” which is the metal ring inside (some) eyepieces that limits the size of the field. It is analogous to the iris diaphragm in a camera lens, but unlike a camera iris it cannot be changed. Now, let's have some ground rules as to what to expect. First, simpler eyepieces, eyepieces with fewer lens elements, generally produce brighter images. That is still true despite modern lens coatings, but not as true as it used to be. Simpler eyepieces perform less well in fast focal ratio telescopes, though, with “fast” beginning at about f/5. 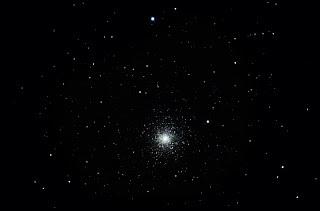 Wide-field eyepieces tend to be harder to make well. It’s difficult to make an eyepiece that has a wide field of view and few optical aberrations, especially at longer focal lengths. Wide field eyepieces also tend to have shorter eye relief. So, the best reasonably priced eyepieces are often of medium focal length (15mm – 20mm) and possessed of moderate apparent fields (less than 70-degrees or so). If you want “long” and “wide,” expect to pay for it. How about color rendition? Some eyepieces tend to produce warmer tones, and some cooler. Saturn might look more yellowish in one design, and have a slightly blue cast in another. This color cast is usually subtle and not disturbing. OK, let’s start testing. The first things you’ll probably want to know are the eyepiece’s eye relief and its apparent field. The manufacturer probably lists these things on their website, but if you’re like me, you want to know for sure. Eye relief is easy to determine. Hold a white card up to the eye lens of the eyepiece (out of the telescope, natch) under scrutiny, and point it at a distant light source. Move the card back and forth until the image projected on the card is sharp. Now, measure the distance between card and eye lens as precisely as you can with a ruler. Apparent field is also easy to determine, if a bit more work. The simplest way to figure it is to work backwards from true field. How do you calculate the true field of your scope/eyepiece? You can calculate it from the eyepiece field stop diameter. Divide the field stop size (in millimeters) by the telescope's focal length and multiply the result by 57.3. Unfortunately, you probably won’t know the field stop diameter; most manufacturers don’t publish that figure and it can be hard to measure. Luckily, there is another way to arrive at true field, by timing the drift of a star near the celestial equator across the center of the eyepiece’s field. Choose a bright star as close to the equator as possible, get your stopwatch (your smart-phone should have one) ready, and shut off the scope’s drive if it has one. The only problem is positioning the star so that it drifts precisely across the center of the field. There’s a trick to get around that. The human eye/brain combo is very adept at centering a bright point, like a star, in a circle, like an eyepiece field. Center the star, let it drift, and time how long it takes for it to leave the eyepiece. Multiply that value by two and you are done with the field work. To reduce error, repeat your drift timing two more times and average the three resulting values. Back inside, your first task is to convert your minutes/seconds figures to minutes and decimal minutes. 1-minute 30-seconds won’t work in the formula we’ll be using to determine TFOV. That time has to be expressed as 1.5-minutes. Covert to decimal minutes by dividing the seconds figure by 60. When you have done the conversion, determine true field of view by dividing your result by 4. For example, if the time was 7.5 minutes, the TFOV of the eyepiece in question is 7.5/4 = 1.8-degrees. While it’s nice to know TFOV, what we are really after is the size of the spaceship porthole, the apparent field, the size of the field of view circle displayed before you in angular degrees. 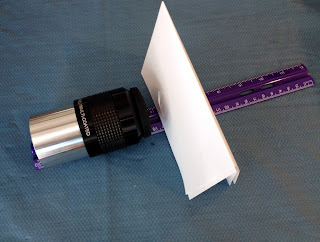 To find that, determine the magnification of the eyepiece under test by dividing the focal length of the telescope by the eyepiece’s focal length. Multiply that by the TFOV and you have AFOV. If the eyepiece has a measured TFOV of 1.7-degrees, and its magnification in the telescope is 59x, its AFOV is 100-degrees (59 x 1.7 = 100). It’s sometimes useful to know the size of an eyepiece/telescope combo’s exit pupil. That is the diameter of the light cone emerging from the eyepiece. Why would you want to know that? If your pupils, like those of most middle-aged folks, don’t dilate more than 5 or 6mm, an eyepiece that delivers a light beam 7mm in diameter is wasting light (which can be the case with small short focal length scopes and long focal length oculars). To get the exit pupil diameter, divide telescope aperture in millimeters by magnification. For example, a 100mm aperture scope with a 10mm eyepiece gives a power of 100x. That means the exit pupil is 1mm in diameter (100/100 = 1). What else can you/should you check? How heavy is the thing? If you’ve got a postal scale or similar you can find out. How are the lens coatings? When you hold the eyepiece up to an oblique light do the coatings (usually green these days) look even? You should see minimal internal reflections. How about the barrel on the scope end of the ocular? Is it painted a flat, dark shade of black on its interior to suppress reflected light? Filter threads should be there, but be aware that since nobody has ever standardized eyepiece filter thread pitch, not all filters will screw smoothly onto all eyepieces. Finally, how about the physical properties of the ocular? Does it look professionally made and feel solid? Does the eyepiece's shape get in the way of putting your eye to the eye lens? Unfortunately, a few ultra-modern barrel designs make that hard. Some newer Celestron eyepieces, for example, seem designed to give you a hard time when it comes to eye placement. After you have determined where your eyepiece stands vis-à-vis its specs and its physical characteristics, it’s time to check it for aberrations. Nothing makes Joe and Jane Newbie more depressed and disappointed in their eyepieces than coma, the aberration that makes stars out toward the field edge look like fraking comets. That’s why it’s called “coma,” natch. The irony is that eyepieces don’t typically introduce coma. It’s an effect caused by fast telescope optical systems, mainly in Newtonians. Coma is almost unnoticeable at f/8, visible at f/6, prominent at f/5, and disturbing below that. So what do you do about coma? With one exception, an eyepiece, no matter its cost or pedigree, won’t help. There was one eyepiece design, the Pretoria, that corrected for coma, but it wasn’t a very good eyepiece design and has long since been made obsolete by coma correctors like the TeleVue Paracorr. To reduce coma in a Newtonian, you use a coma corrector which, to put it simply, is like a very special sort of Barlow. Or you just concentrate on the field center and ignore the "comets" toward the edge. If you can’t do that and don’t want to buy a coma corrector, use higher magnification. Higher power eyepieces and narrower field eyepieces won’t show the hairy edge of the light cone where coma is worst and your field will look better. Not all of the nastiness at the field edge is caused by coma. Some may be from astigmatism, an aberration found in many eyepieces. You’ll know you have it when you plug in the coma corrector and the stars at the edge of the field of your Acme 100-degree Wonder still look like hell. Now, astigmatism can be in your eye, in the telescope, or in the eyepiece, so how do you know if it’s the eyepiece or not? A tip-off is that in oculars it’s sorta like coma; stars at the center are good, but those at the edge are distorted things that look like lines, seagulls, or even crosses. What do you do? What do you do? There’s not much you can do, really, except buy a better eyepiece. TeleVue makes a corrector lens, the Dioptrix, for astigmatism, but that is to correct astigmatism in your eyes, not the eyepiece. 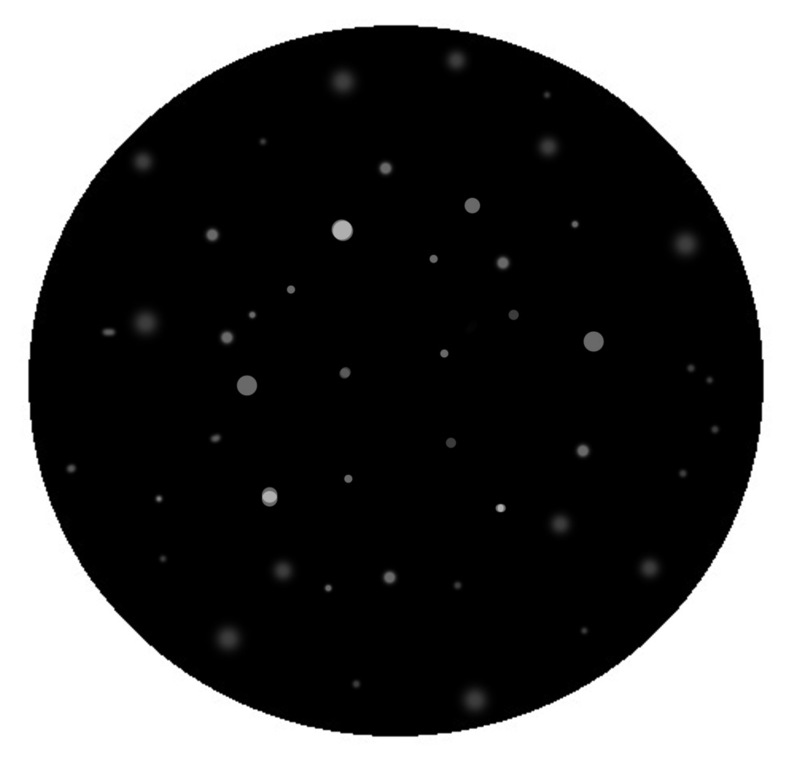 If the stars at the center are round, even when thrown slightly out of focus, the problem is likely the eyepiece. If the elongated axis of the star changes its position angle, its orientation as you move your head around the eyepiece, when you change the angle of your head in relation to the eyepiece, the problem is (or is in part) in your eyes. Keep in mind that there can be a combination of the three causes, astigmatism in eye, eyepiece, and telescope. Luckily, most people find astigmatism in eyepieces less disturbing than telescope coma. You are happily enjoying your view of NGC Umptysquat when suddenly the field blacks out. It’s like what your old Admiral portable TV from the 1970s did when it went on the fritz. Maybe the field doesn’t completely black out. 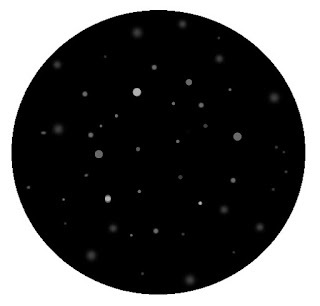 Perhaps what you see are dark patches in the eyepiece, oval, bean-shaped patches. The cause of kidney-beaning is improper eye placement. Get your eye off the optical axis and you will see these effects with many eyepieces, even rather expensive ones. Cheer up. After some practice with a new eyepiece, you’ll probably find it easy to keep your eye centered. 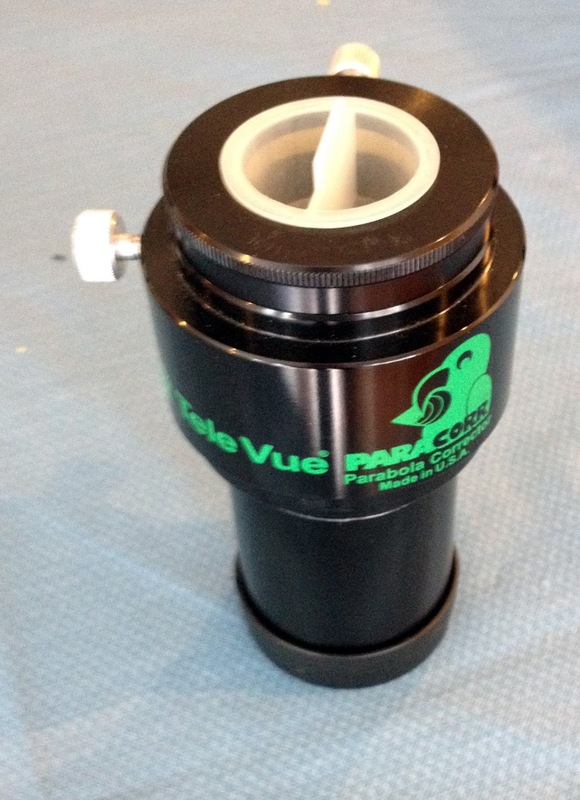 The TeleVue 35mm Panoptic is a wonderful ocular, but when I first got mine I had kidney-beaning out the ying-yang. Wasn’t long before I got used to centering my eye on the new eyepiece, though and all was well. Be aware kidney-beaning is common with longer focal length oculars. In fact it is almost inevitable with them. If the stars in the middle of the field are in sharp focus, but those at the edge are slightly fuzzy (but not distorted) you are suffering from field curvature. Many if not most scopes, and particularly faster refractors and non-corrected (non Edge design) SCTs, have curved focal planes. But eyepieces can contribute to the problem. How can you tell if the problem is in your eyepiece? The easiest way is to check it in a longer focal length telescope. If the problem is mostly the scope (which it usually is) field flatteners are available for both refractors and SCTs, the scopes that generally need them most. What’s troubling you, Bunky? Not only do you have comet shaped stars at the field edge, they have blue and/or red fringes? Most modern eyepiece are well color corrected for objects near the center of the field, but some—especially longer focal length and wider field oculars—are not so good at the field edge. What can you do? Mainly, position your eye properly. Having your eye off the eyepiece’s optical differential refraction. If you are using an achromatic refractor, check the eyepiece in a known color free telescope like a Newtonian. What can you do about lateral color? Stop obsessing about the field edge or open your wallet is about it. Having your eye off-axis, not centered, can exacerbate color fringing on stars and bright objects like the Moon’s limb. Be careful you are not being fooled into thinking your eyepiece has a problem here, though. Test it only on objects over 30-degrees above the horizon to make sure you are not actually seeing an atmospheric effect called "differential refraction." In Pincushion distortion, parallel lines are bowed in as they cross the center of the eyepiece. Barrel distortion is the opposite; they are bowed outward. You can check for these problems by viewing distant boards on a fence or on the side of a neighbor's house during the day. What can you do about these things? Get another eyepiece. But keep in mind that you probably won't even notice barrel or pincushion distortion during normal observing. It tends to be obvious only when you are looking through the eyepiece while slewing the scope fairly rapidly for a good distance. Now we come to the subjective stuff. How good is this hunk o’ glass really? How good does stuff look in my eyepiece? After a few years in the game, you’ll come to know what a good image is. If you are a novice, you can learn by looking through your friends’ expensive eyepieces. Yes, that Ethos will probably ruin your Orion MegaDoodle ocular for you, but you need to know what perfection is. Even if you decide you don’t need (or want to pay for) it. I know what a perfect image is, but if you are a long-time reader here you know I absolutely love my humble Happy Hand Grenade, a 100-degree Zhumell eyepiece I bought when it was one of the few 100s that didn’t cost close to a grand. Not perfect, but I enjoy using it, I can overlook its imperfections (it probably suffers from every one of the above problem to one degree or another), and it makes me happy in spite of them. That’s the real task when it comes to choosing eyepieces, deciding what can make you happy. Do that and you are golden, Ethoses or no.